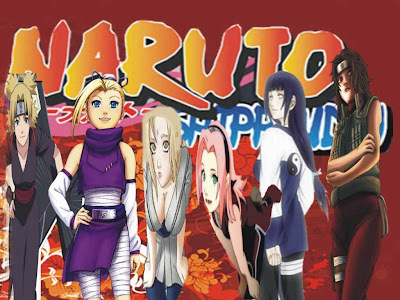 In this post I try to make wallpaper about girl characters on Naruto. As we know, all ninja girl have two strong different character, they could be so feminim but sometimes they were become like monster, hahaha I means like a man and strong. So I make this naruto's girl wallpaper in two version in order to show you their double characters. 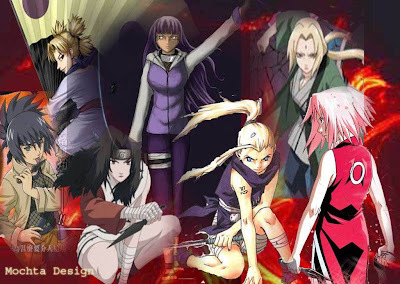 Description : This version show us about feminim characters inside them, I take some girl player like Tsunade, Sakura, Ino, Kurenai, Hinata and Temari. See their cute and beautiful face and compare with the other version below. I'm sure you will understand what did I mean. Desription : This version will show you another characters which they had, look at their impression, I can't believe it. Tsunade, Sakura, Ino, Kurenai, Hinata, Anko and Temari look so different, They seem so wild and strong. Don't ever disturb them if you don't want goes to hospital. How about you? do you agree with my opinion? Anyway, I hope you like this wallpaper. Get this Naruto's Girl Wallpaper by clicking on image.